Here is my Craftsy block of the month for July! Tumbling blocks. It was fun to make and pretty easy thanks to Laura’s great as usual explanations. I’m happy it was a simplified version and not full of Y seams as it looks like it would be. 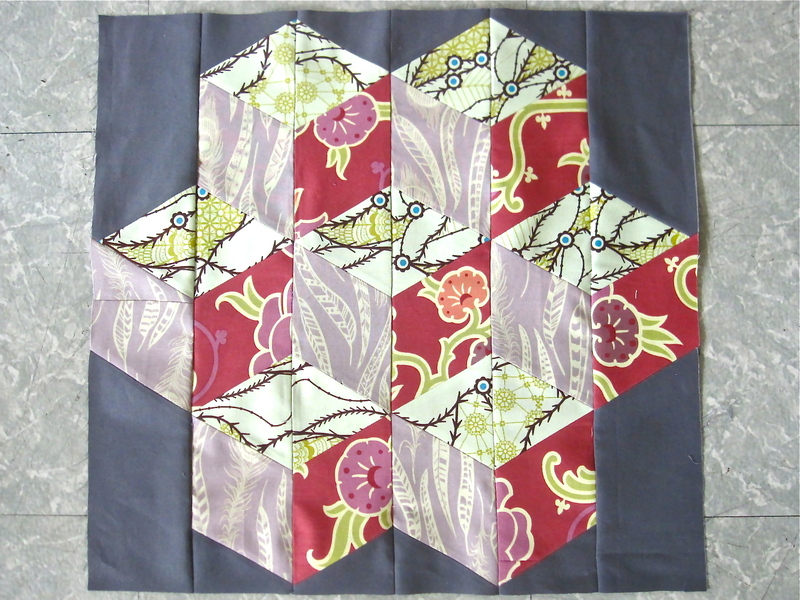 I am using serious scraps for this quilt, so I had to piece together some of my fabrics, but I think because it’s such a busy quilt so far, it will all blend well. It’s definitely pretty crazy and full of prints, but I am really loving it. 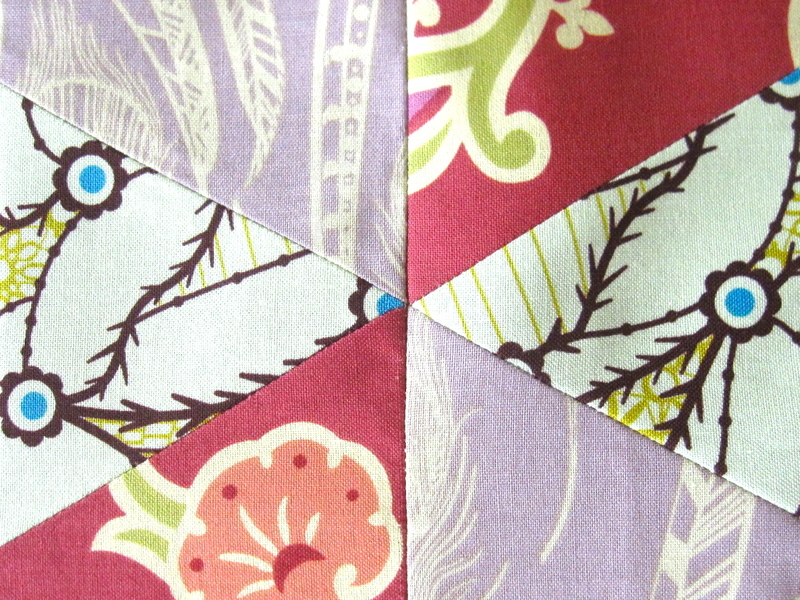 This block was supposed to help see how important colour value is when quilting – darks and lights. While I know about value (thanks Fine Arts degree!) it wasn’t my main focus. I’m really interested in using challenging colours and prints for this quilt. I’m getting better at matching points and other fiddley things too.